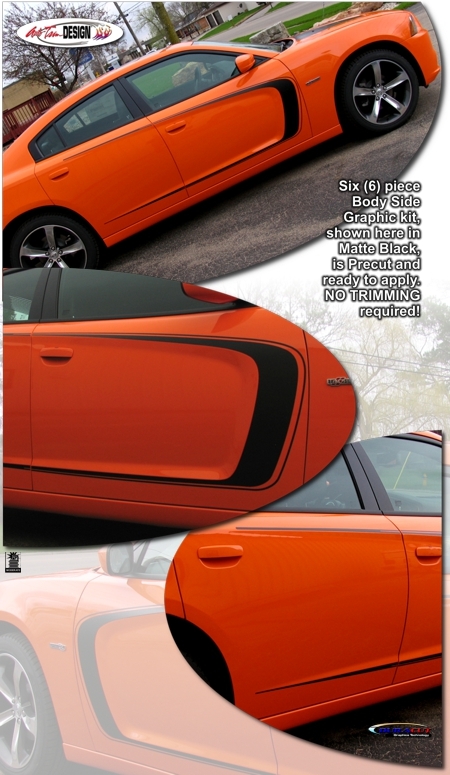 Set your '11-Current Dodge Charger apart from the rest with this classic Super Bee Style Body Side Graphic Kit. Available in a wide variety of colors, graphic is designed and manufactured to be placed along the Charger's distinct body lines as shown in the image and is packaged with one (1) left and one (1) right side graphic. Kit is Precut and easy-to-apply ~ NO TRIMMING required! Super Bee is a registered trademark of Chrysler, LLC. Auto Trim DESIGN® is not affiliated or otherwise connected with Chrysler, LLC.